Celebrate National Ice Cream Day with us! 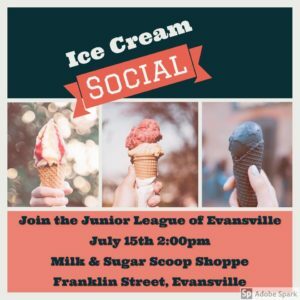 If you are interested in Community Impact, Leadership Development, Volunteerism, and Networking, than the Junior League of Evansville is for you! Join us July 15th to meet our members and learn more about our wonderful organization.